Give us a call to reserve a date for an outing. We will work with you from that point to plan your event. We will plan the food and the golf. We can even promote your event on our facebook page at your request. The golf course is recognized as a great place for developing strong friendships and working relationships while having some fun; and a golf outing might be the perfect choice for your next charity fund-raiser, corporate event, or family reunion. We’we seen a lot of golf outings held at Lochmor Golf Course with many satisfied hosts and attendees. We’we learned a thing or two along the way about planning a successful golf outing and would like to pass this knowledge along to you.. Early in the planning stages you will want to decide what format your tournament will follow. There are many tournament format options but two of the most popular are the “Scramble” and “Low Gross Low Net”. 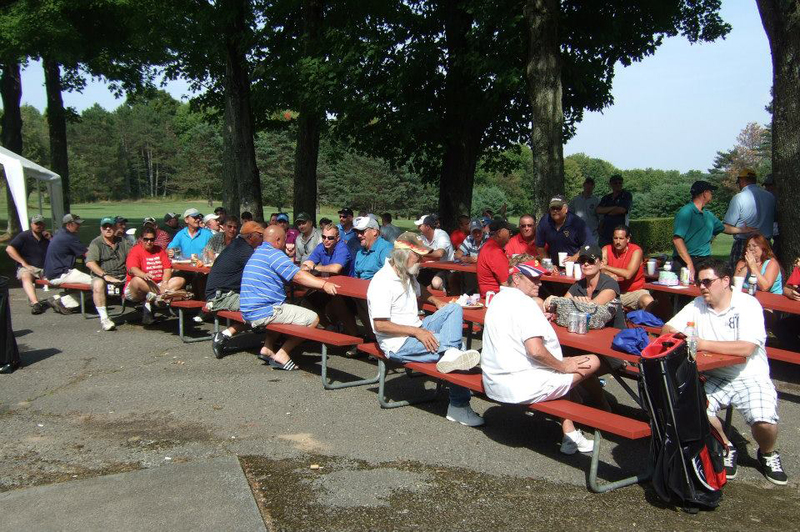 At a typical golf outing, many of the participants are casual golfers who only play occasionally. The challenge then becomes finding the right tournament format, which allows the casual golfer to enjoy the day without becoming frustrated by too many poor shots. The scramble format solves this challenge. How does a scramble work?.